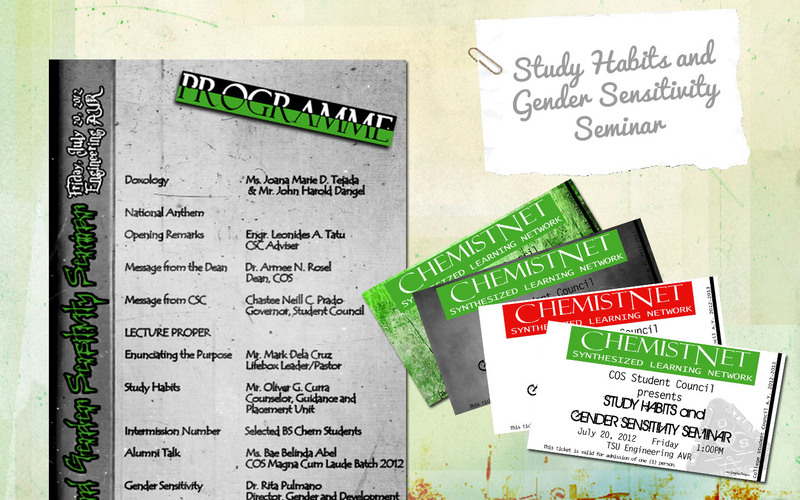 This ticket style invitation and programme were made for the Study Habits and Gender Sensitivity Seminar. 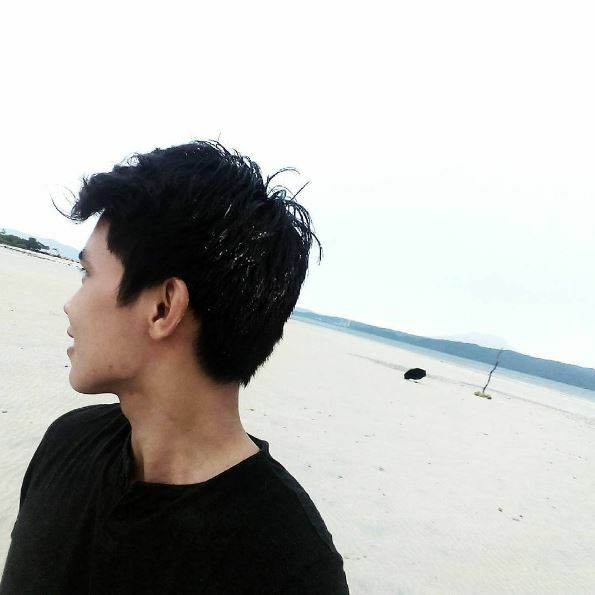 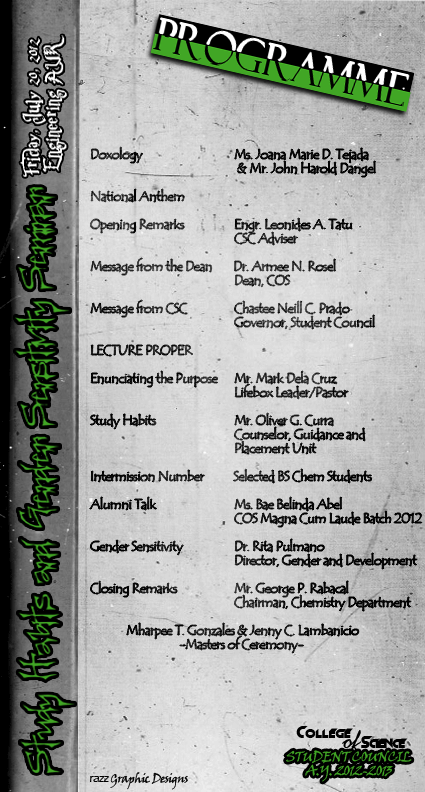 I, together with other student council executives really tried our best to come up with unique and new strategies on presenting activities spearheaded by the organization. 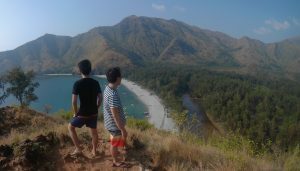 As you can see, we started it on the invitation itself. 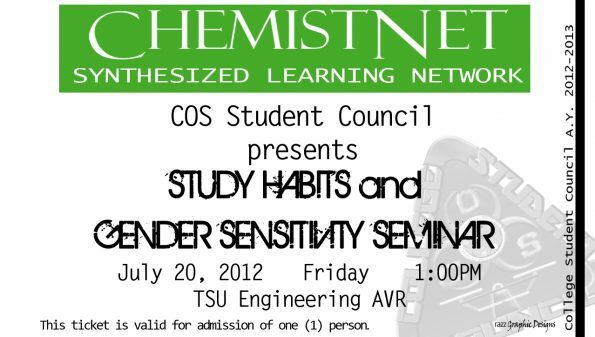 Like the Freshmen Orientation activity, this Study Habits and Gender Sensitivity seminar is dedicated for Freshmen Students for them to be well oriented on coping up with college life. This final design was chosen to be distributed to all invitees. 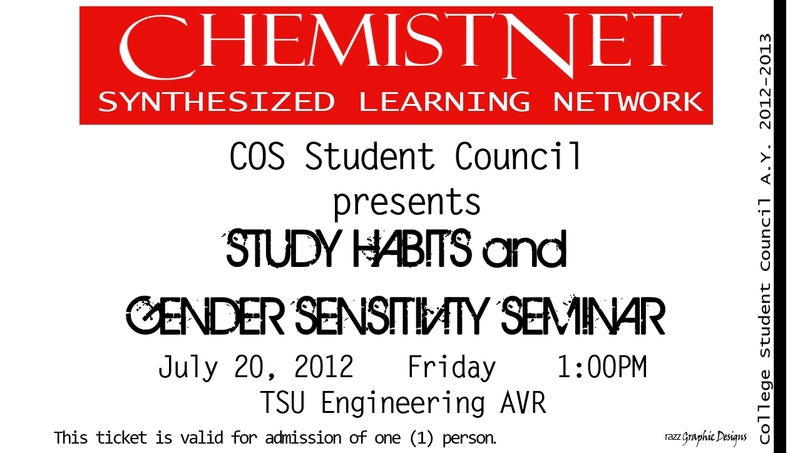 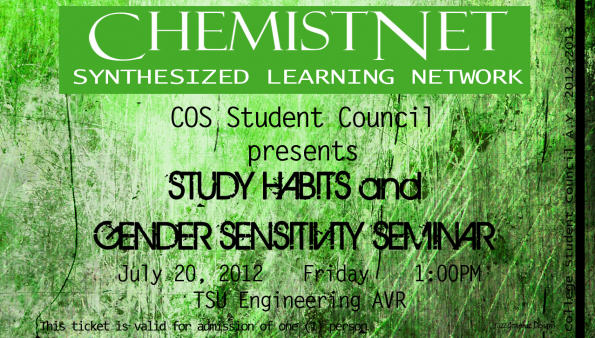 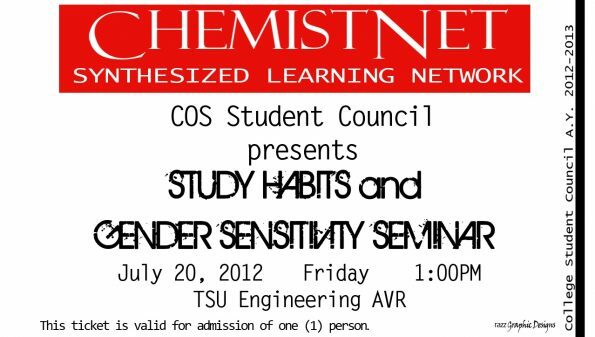 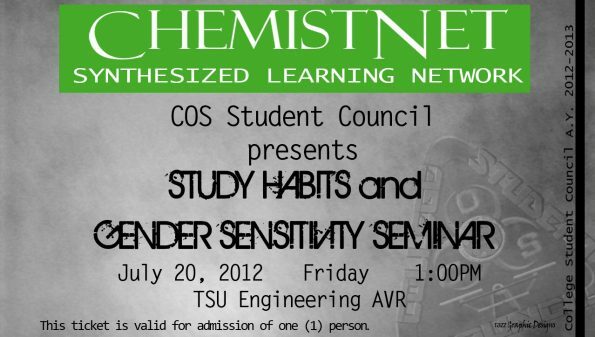 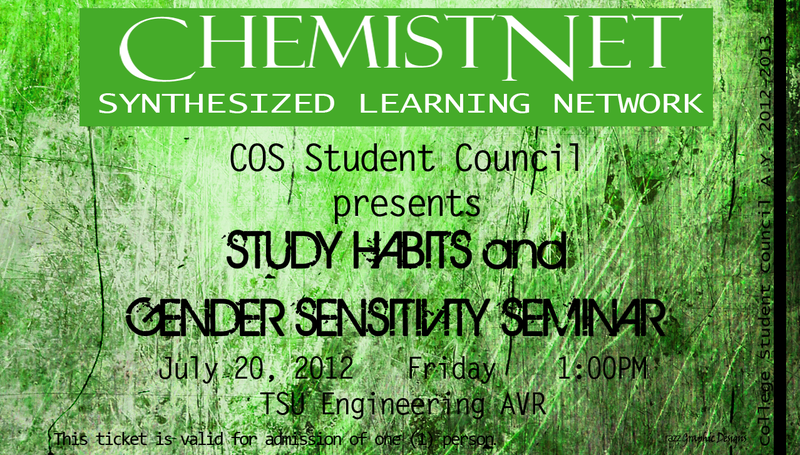 Copy of the final program for Study Habits and Gender Sensitivity Seminar.